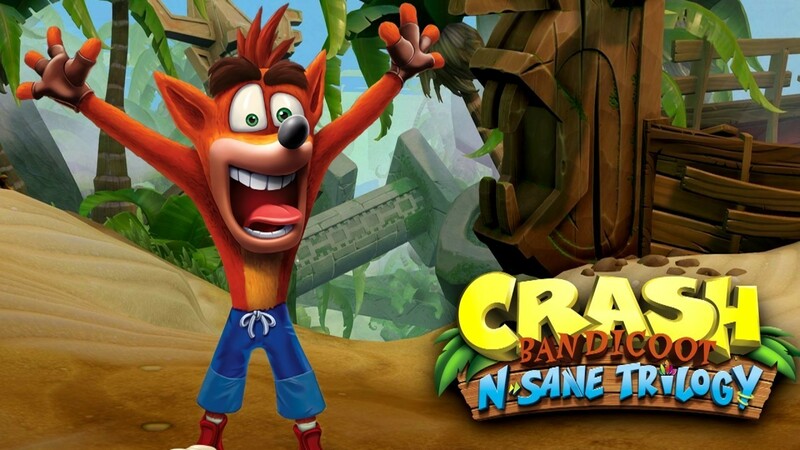 Just when you thought Crash Bandicoot™ N. Sane Trilogy couldn’t get any better, Activision is giving fans another reason to play Crash all summer long with the introduction of a brand-new level called “FUTURE TENSE”! On June 29, the Future Tense level will be included as a bonus in the Crash Bandicoot™ 3: Warped game of the Crash Bandicoot™ N. Sane Trilogy. Developed by Vicarious Visions, Future Tense brings an extra layer of difficulty to Crash Bandicoot 3: Warped’s Future world, as players dodge rockets, destroy robots and leap over lasers while ascending a massive futuristic skyscraper. This brand-new level pays homage to the unreleased Waterfall level from the original Crash BandicootTM game. Soon franchise fans (and speed runners) will have something BRAND WUMPING NEW in Crash Bandicoot N. Sane Trilogy that will challenge even the most skillful Crash players. In addition to Future Tense’s arrival to the Crash Bandicoot N. Sane Trilogy, fans on new platforms will also receive Stormy Ascent as a bonus level starting June 29th. Existing Crash Bandicoot N. Sane Trilogy owners on PlayStation®4 can download Stormy Ascent starting tomorrow as a bonus level at no additional charge from the PlayStation Store. Released last year on PlayStation®4, Stormy Ascent is the notoriously difficult, unfinished level from the original Crash Bandicoot game, finished and remastered to challenge the most hardened of Crash fans! The world’s favorite marsupial will SPIN his way to new players on Nintendo Switch, Xbox One and Steam on June 29, 2018, marking the first time that the original three games – Crash Bandicoot™, Crash Bandicoot™ 2: Cortex Strikes Back, and Crash Bandicoot 3: Warped – will be playable on these platforms. The Crash Bandicoot N. Sane Trilogy is available now on PlayStation®4 for the suggested retail price of $39.99. Existing Crash Bandicoot N. Sane Trilogy owners on PlayStation®4 can download the bonus level from the PlayStation Store on June 29th as well. Fans can pre-order the Crash Bandicoot N. Sane Trilogy for all new platforms now for the same suggested retail price. Check out Crashbandicoot.com for more details. Crash Bandicoot N. Sane Trilogy lets bandicoots worldwide experience the beloved ‘90s videogame icon like never before with more than 100 levels to explore, dazzling “N. Hanced Fur-K” graphics and cinematics, its acclaimed soundtrack, newly recorded dialogue from familiar voice actors, and much more.